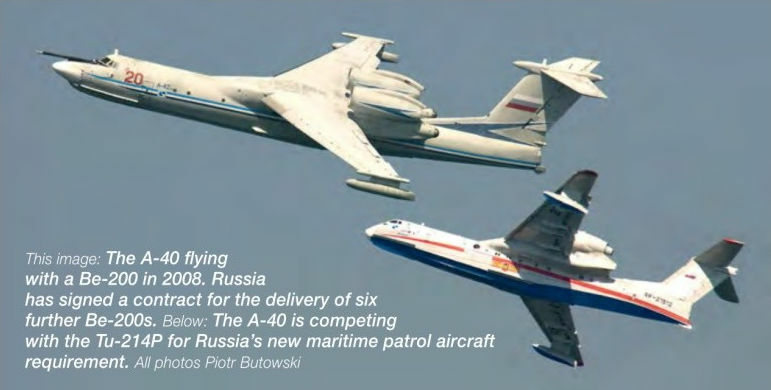 The A-40 is competing with the Tu-214P for Russia’s new maritime patrol aircraft requirement. The A-40 flying with a Be-200 in 2008. Russia has signed a contract for the delivery of six further Be-200s. 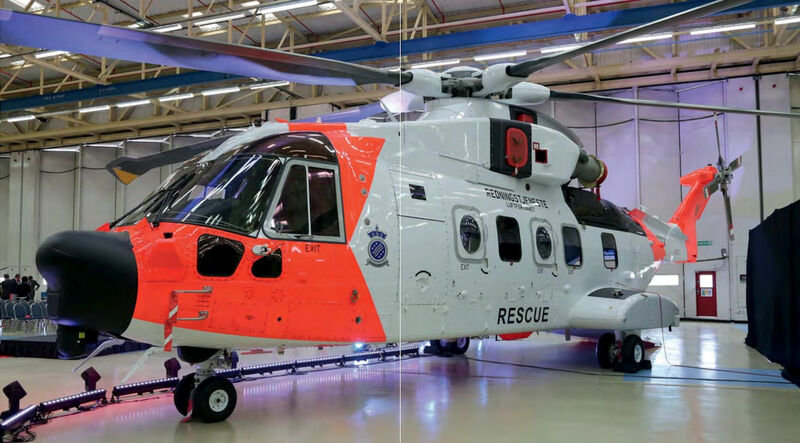 First flight of HH-101A, registered with UK military serial number ZR352/'15-01', on its March 19, 2014 maiden flight from Yeovil, Somerset, in a black-based colour scheme. On May 25, 2016, the Belgian Air Force officially unveiled F-16AM FA-129 specially painted to mark the 75th anniversary of 350 Squadron. The squadron was formed during World War Two and crewed by Belgian service personnel flying the Spitfire within the command of the Royal Air Force. The markings applied to the rear fuselage and tail of the F-16 replicate those carried by Spitfire Mk.IX MH434, side code MN-B. Perhaps the most famous of all Spitfires still flying today, Spitfire Mk.IX MH434 side code MN-B served with 350 Squadron between January and March 1944. F-16AM FA-129 is expected to fly in formation with Spitfire MH434 at the Belgian Air Force Open Days at Florennes Air Base on June 25-26. 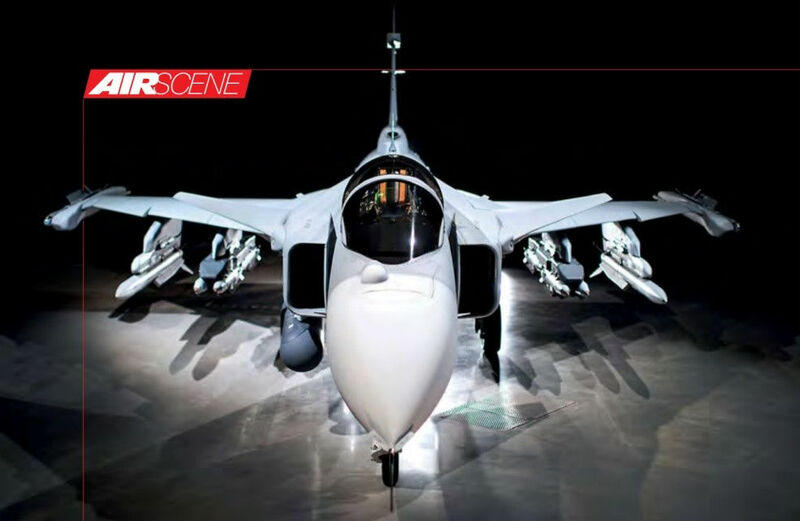 A Gripen E on the production line at Linkoping. Note the computer screens on the left and right of the work platform displaying separate pages from the 3D production documents created by Saab’s model-based definition system. B-52H Stratofortress 60-0044/MT takes-off from RAF Fairford, Gloucestershire on June 11, 2016 bound for the Baltic on a two-ship mission to drop inert 500lb mines during Exercise Baltops 2016; the 44th iteration of the major multinational maritime exercise in the Baltic region. Fighter support for the sortie was provided by Svenska Flygvapnet JAS 39 Gripens and Luftwaffe EF2000 Eurofighters. Three B-52Hs assigned to the 23rd Expeditionary Bomb Squadron ‘Barons' based at Minot Air Force Base, North Dakota, deployed to the UK for Exercise Baltops-Sabre Strike 2016. The exercises are staged to demonstrate interoperability between NATO allies and regional partners. Emirates has recently added graphics of Benfica players to Boeing 777-300W A6-EPA. The carrier now has similar liveries featuring players from a range of European football teams including Real Madrid, AC Milan, Arsenal and Paris Saint-Germain. 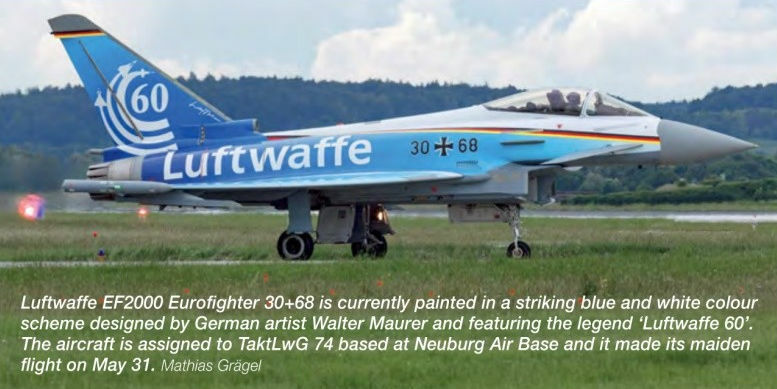 Luftwaffe EF2000 Eurofighter 30+68 is currently painted in a striking blue and white colour scheme designed by German artist Walter Maurer and featuring the legend ‘Luftwaffe 60'. The aircraft is assigned to TaktLwG 74 based at Neuburg Air Base and it made its maiden flight on May 31, 2016. Atlantique 2 no 15 at its home base BAN Lann-Bihoue. Fifteen out of the original 27 aircraft are to be upgraded. 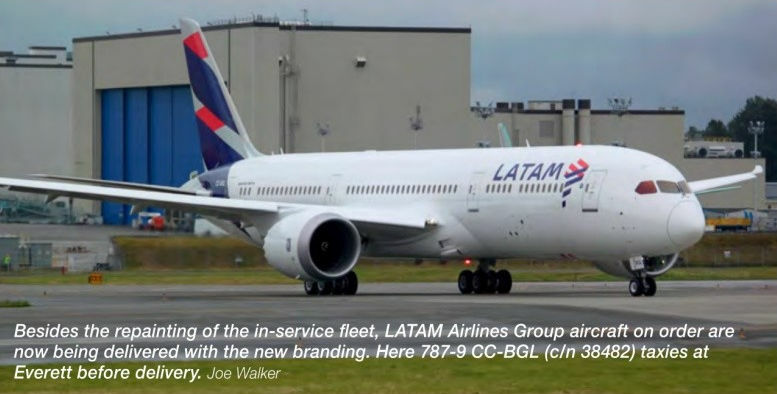 Besides the repainting of the in-service fleet, LATAM Airlines Group aircraft on order are now being delivered with the new branding. Here 787-9 CC-BGL (c/n 38482) taxies at Everett before delivery. To mark its deactivation on April 30, 2016, Marine Tactical Electronic Warfare Training Squadron 1 (VMAGT-1) ‘Banshees' painted EA-6B Prowler BuNo 163033/CB01 in this unusual colour scheme. The forward fuselage features a banshee while the fin’s antenna depicts electric flashes representing the electronic jamming capability of the Prowler. 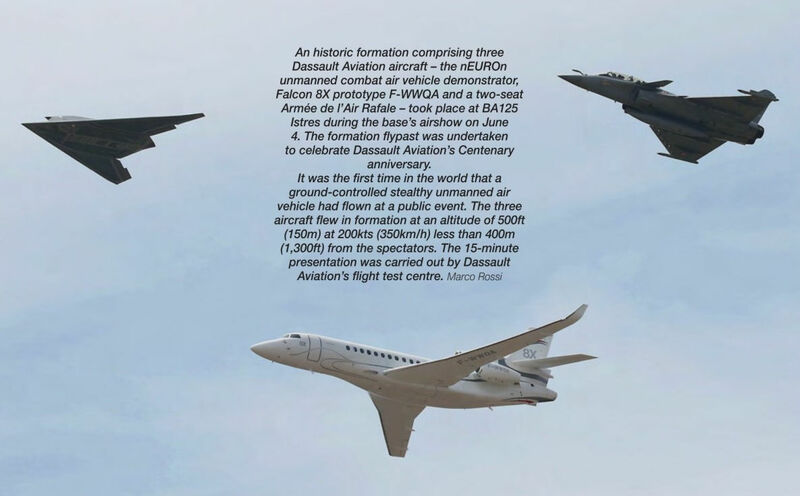 An historic formation comprising three Dassault Aviation aircraft - the nEUROn unmanned combat air vehicle demonstrator, Falcon 8X prototype F-WWQA and a two-seat Armee de I'Air Rafale - took place at BA125 Istres during the base’s airshow on June 4, 2016. The formation flypast was undertaken to celebrate Dassault Aviation’s Centenary anniversary. It was the first time in the world that a ground-controlled stealthy unmanned air vehicle had flown at a public event. The three aircraft flew in formation at an altitude of 500ft (150m) at 200kts (350km/h) less than 400m (1,300ft) from the spectators. 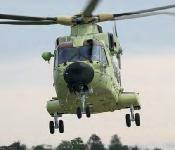 The 15-minute presentation was carried out by Dassault Aviation’s flight test centre. 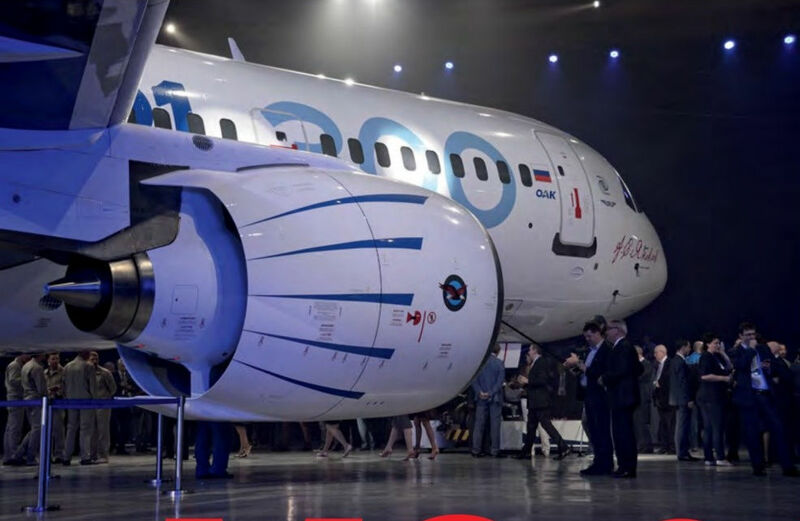 CityJet has become the first European operator of the Sukhoi SSJ-100 Superjet. The first of 15 SSJ-100s ordered by the Irish airline, EI-FWA (c/n 95102), is pictured arriving in Dublin after pre-delivery outfitting in Venice. One of the original four Falcon 50Ms of 24F being towed out of the maintenance hangar at BAN Lann-Bihoue. Note the large observation window behind the cockpit. 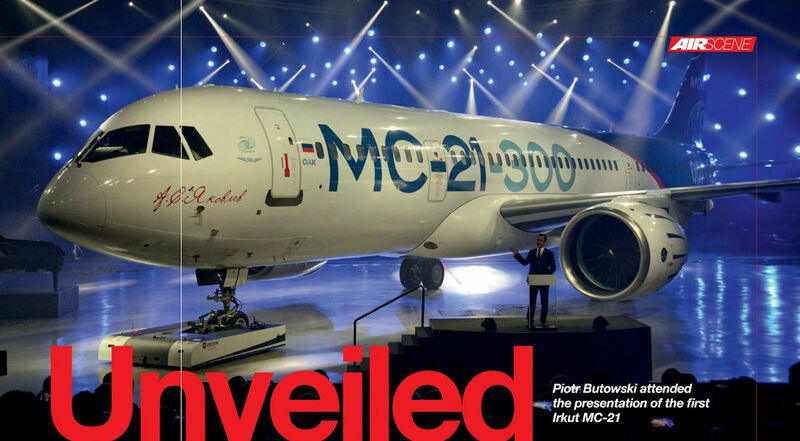 Russian Prime Minister Dmitry Medvedev speaks at the MC-21's presentation in Irkutsk, underlining the programme’s significance for Russian industry. 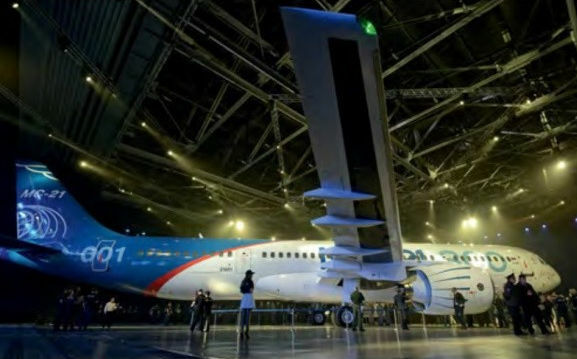 The MC-21's fully composite wings are made using vacuum infusion technology, never used in the aircraft industry before. Three Pratt & Whitney PurePower PW1400G turbofan engines have been delivered to Irkutsk; two fitted to the first aircraft and a spare. Airbus launched a corporate jet version of the A350-900 at EBACE in Geneva in May 2016. 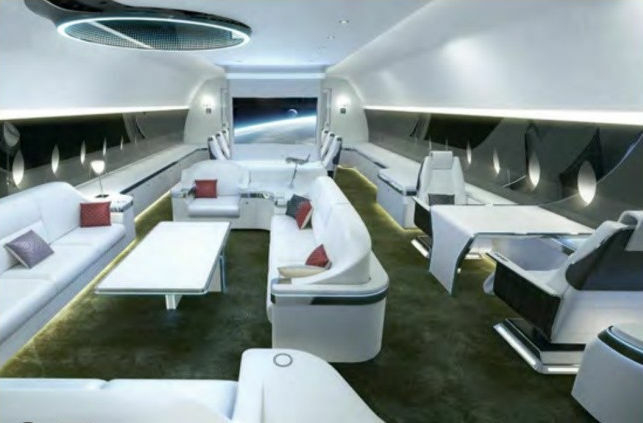 The ACJ350XWB will be able to carry up to 25 passengers on 10,800nm (20,000km) or 22-hour flights. The -900 version is equipped with 270m2 (2,910ft2) of cabin space. Airbus hasn't yet disclosed an entry into service date nor any customers for the aircraft. 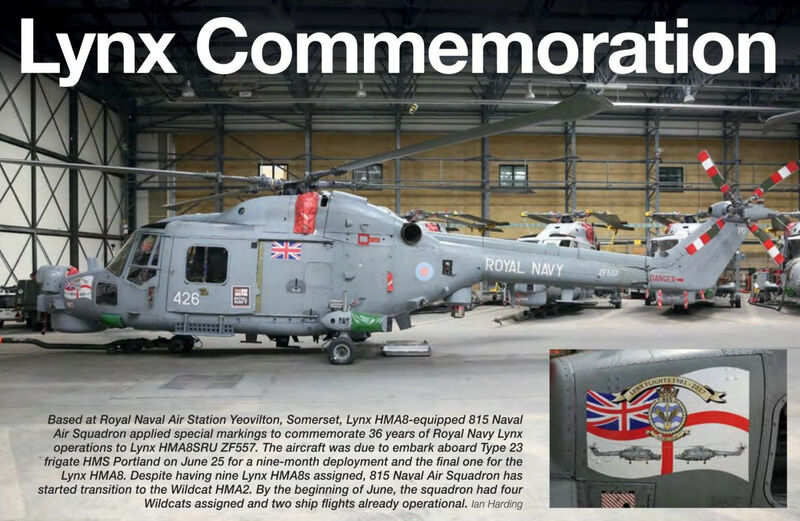 Based at Royal Naval Air Station Yeovilton, Somerset, Lynx HMA8-equipped 815 Naval Air Squadron applied special markings to commemorate 36 years of Royal Navy Lynx operations to Lynx HMA8SRU ZF557. 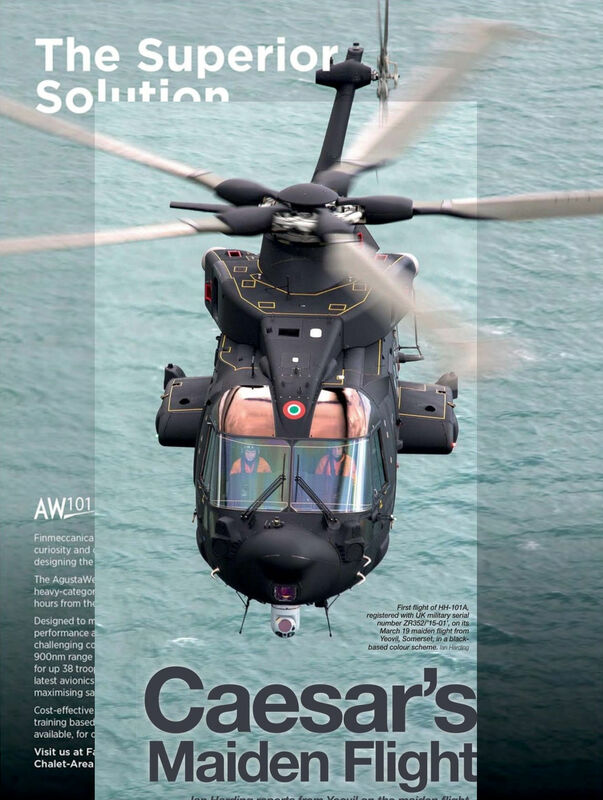 The aircraft was due to embark aboard Type 23 frigate HMS Portland on June 25, 2016 for a nine-month deployment and the final one for the Lynx HMA8. Despite having nine Lynx HMA8s assigned, 815 Naval Air Squadron has started transition to the Wildcat HMA2. By the beginning of June, the squadron had four Wildcats assigned and two ship flights already operational. JA22MJ, the second MRJ flight test aircraft that will primarily be used for performance testing, reached a maximum speed of 250kts (460km/h) and an altitude of 27,500ft (8,400m) during its first flight on May 31, 2016. 3 Do228NGs TO BE USED BY AURIGNY. 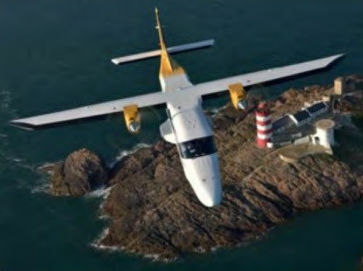 A Do 228NG ordered in 2013 was delivered to the Guernsey-based carrier at the end of last year. EA-18G Growler BuNo 168772/AJ500 of Electronic Attack Squadron 131 (VAQ-131) ‘Lancers’ based at Naval Air Station Whidbey Island, Washington seen at Naval Air Station Fallon, Nevada in mid-May 2016. The aircraft deployed to Fallon for the latest Carrier Air Wing 8 work-up in this two-tone grey CAG-bird colour scheme. US Navy EA-18G Growler BuNo 168770/NJ577 painted with tail markings of No.6 Squadron Royal Australian Air Force. 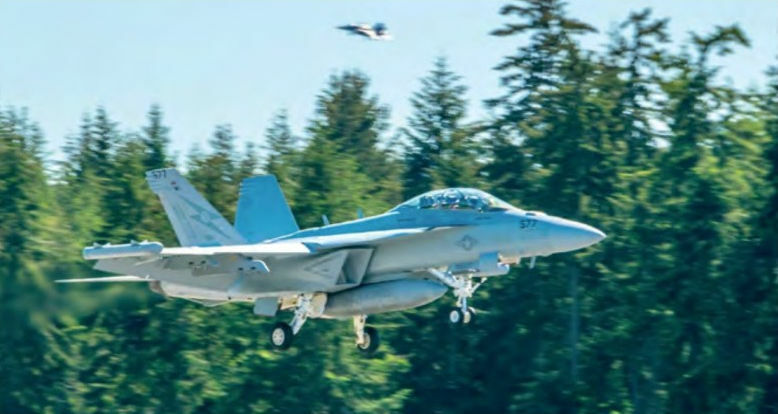 The aircraft is seen conducting field carrier landing practice at Outlying Field Coupevitie, Washington on May 11, 2016. Bombardier CS100 FTV5 (c/n 10005) C-GWXZ at Dublin ahead of its first semi-commercial flight to Zurich. 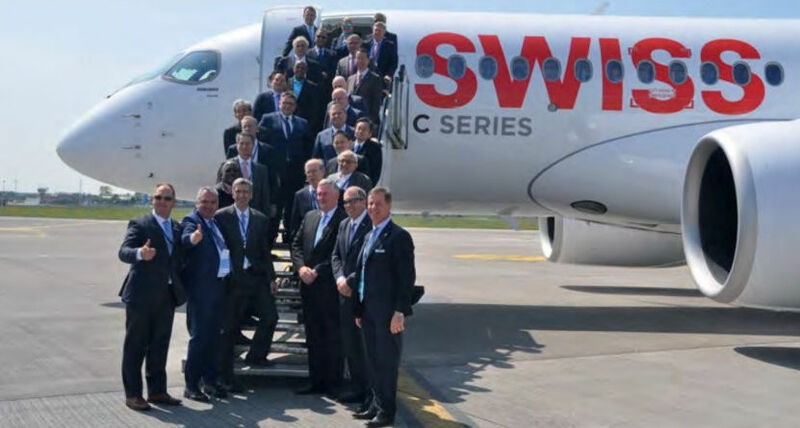 Some of the Star Alliance airline executives who were passengers aboard the flight in FTV5 from Dublin to Zurich. 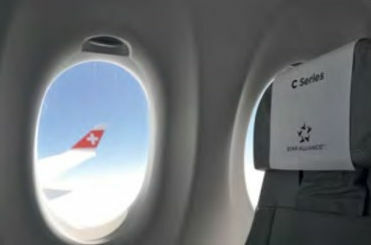 The cabin windows in the CS100 are 11 x 16in (279 x 406mm). 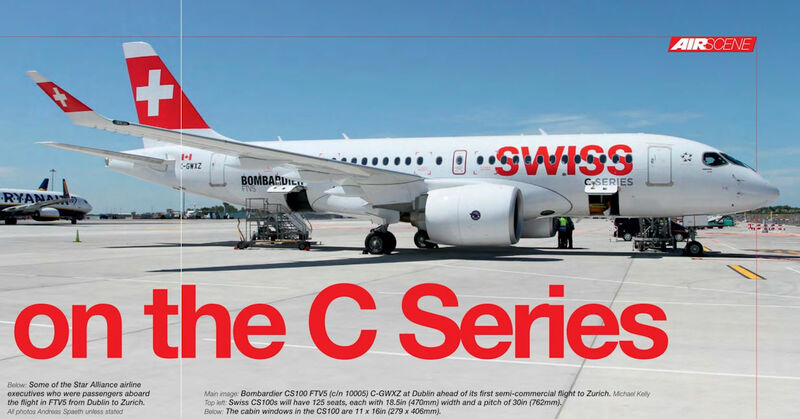 Swiss CS100s will have 125 seats, each with 18.5in (470mm) width and a pitch of 30in (762mm). 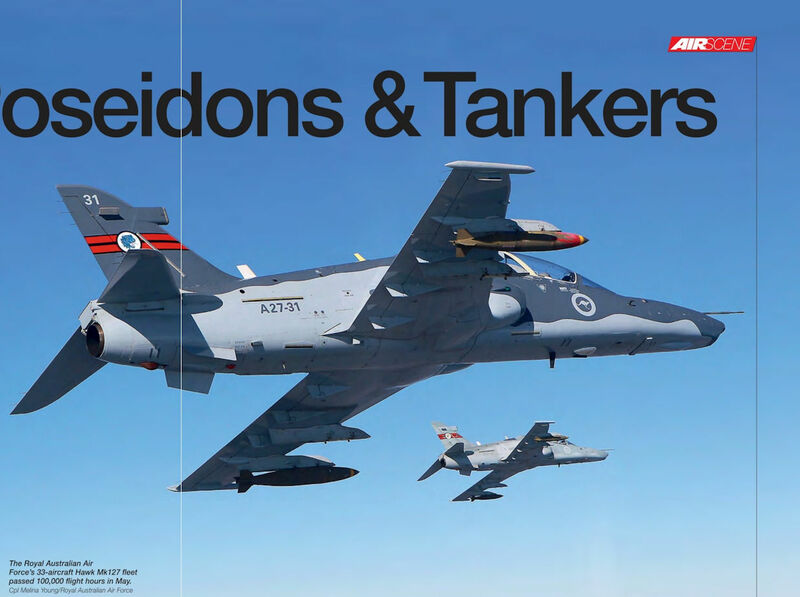 The Royal Australian Air Force's 33-aircraft Hawk Mk127 fleet passed 100,000 flight hours in May 2016. 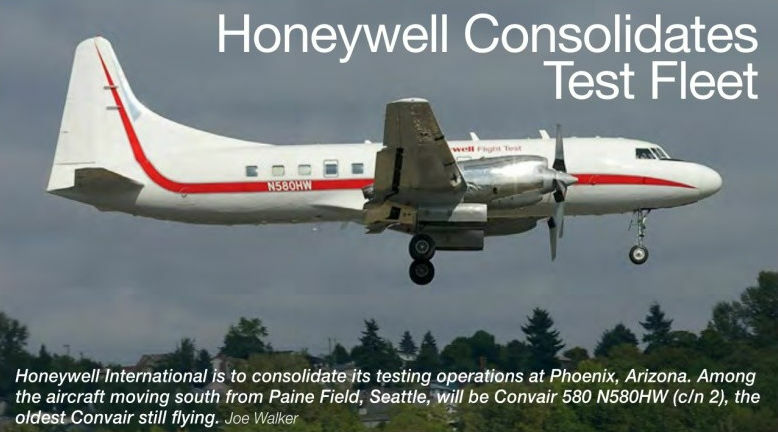 Honeywell International is to consolidate its testing operations at Phoenix, Arizona. Among the aircraft moving south from Paine Field, Seattle, will be Convair 580 N580HW (c/n 2), the oldest Convair still flying. An artist's impression of KAI’s KF-X future fifth-generation fighter. 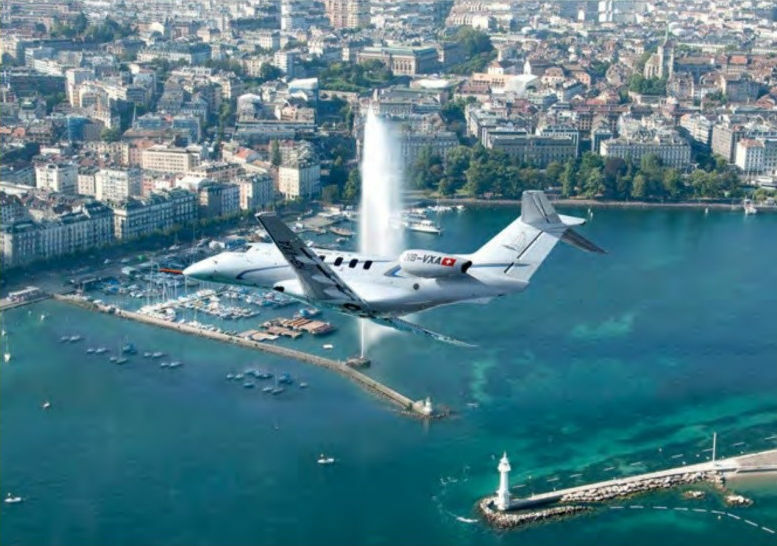 One of the two Pilatus PC-24 flight test aircraft, P01 HB-VXA, over Geneva. Pilatus says the two jets have now completed 300 flights and over 500 hours of testing. 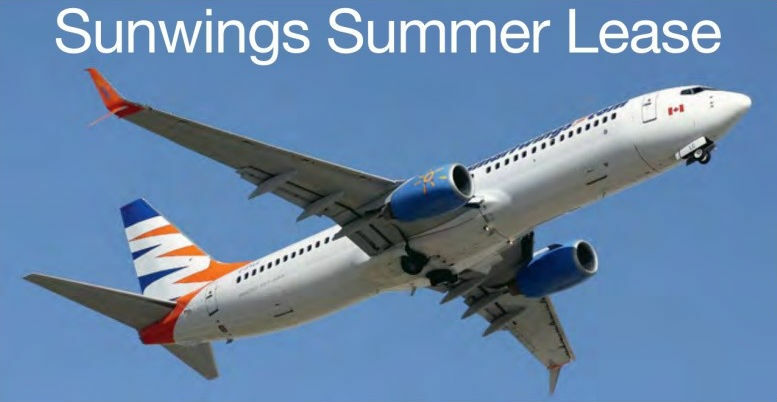 Canadian low-cost carrier Sunwings is continuing to lease a number of its Boeing 737-800s to operators around Europe for the summer season. One of these is C-FYLC (c/n 33029), which is being operated by Travel Service and is seen departing Palma de Mallorca. Pratt & Whitney says its F135 development initiative will offer a 7% to 10% increase in thrust. 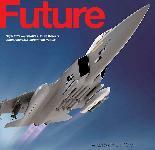 By 2020 P&W expects to be delivering 200 F135s a year, by which time it will be producing F135s at full rate. 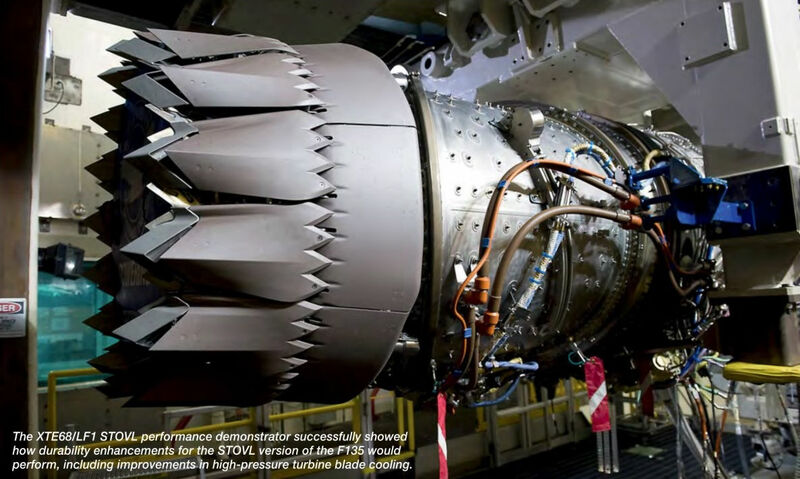 The XTE86/LF1 STOVL performance demonstrator successfully showed how durability enhancements for the STOVL version of the F135 would perform, including improvements in high-pressure turbine blade cooling. 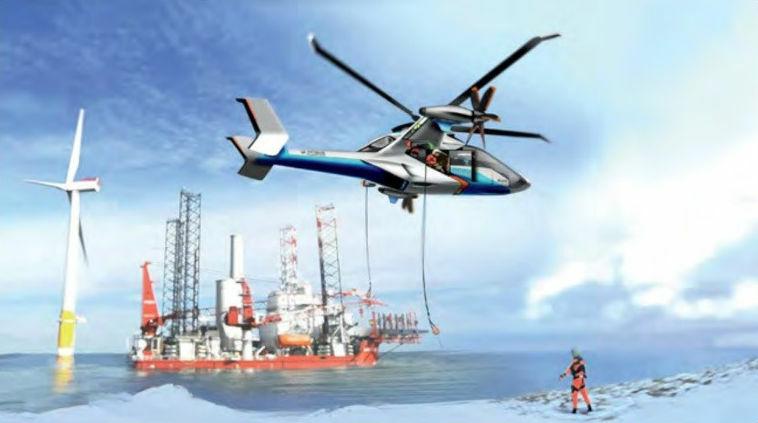 Airbus Helicopters envisages offshore transport and search and rescue as future roles for future high-speed rotorcraft, to which its LifeRCraft project is contributing. E190-E2 PR-ZEY returning after its maiden flight, which lasted three hours and 20 minutes. 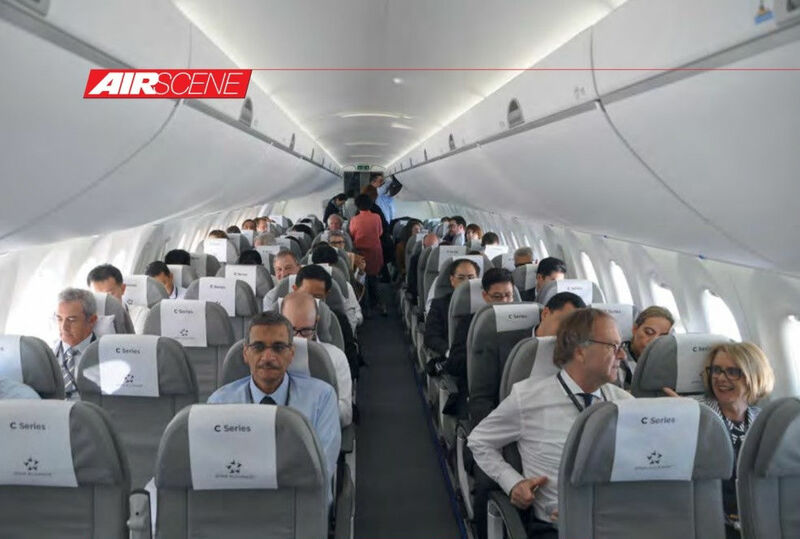 Embraer is working towards a 2018 service entry for this first variant. 23 мая 2016г. в Сан-Жозе-дус-Кампусе (Бразилия) взлетел прототип самолета E190-E2. Новая машина открывает второе поколение региональных пассажирских авиалайнеров Embraer. Завершение сертификации и начало коммерческой эксплуатации новинки запланированы на середину 2018 г. Самолет сможет перевозить до 106 пассажиров в одноклассной компоновке или 97 в двухклассном варианте салона. The four-man flight test crew took the first E-Jet E2 to a maximum altitude of 41,000ft during the initial test flight. The size of the E190-E2 PW1900G turbofans, with their 73in (1.854m) fan diameter, compared to the 56in (1.422m) diameter on the GE CF34-10s on the current E-Jets, is apparent from this photo of the aircraft taxying at Sao Jose dos Campos before its flight.